Newly opened behind Nirlon Knowledge Park at Goregaon East is a small, cute restaurant serving delicious vegetarian food to hungry office goers. When we entered here after being turned down by the long waiting line at the neighbouring restaurant, we were not disappointed at all. The place serves absolutely delectable food, so good that even a non-vegetarian like me left with a smile on my face. 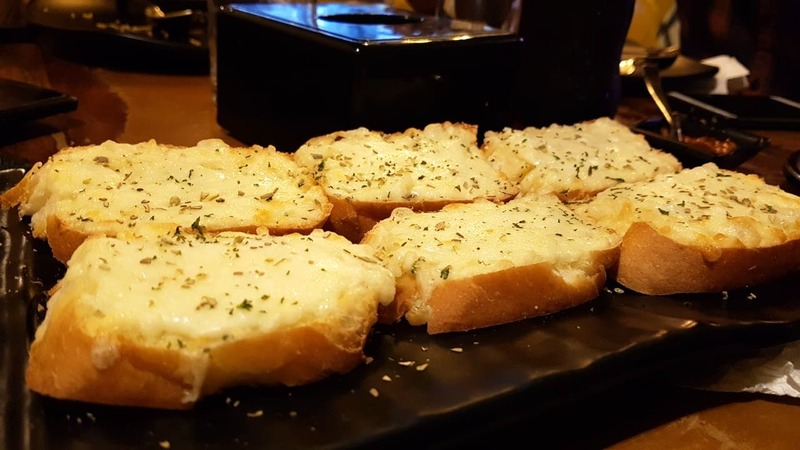 From what we ordered, the garlic bread was buttery, soft on the inside and crispy on the outside, the cheesy fries were overloaded with cheese but it didn't overpower the taste, and the Chinese dishes were palatable, with the vegetables that were lightly simmered so the whole dish was flavourful. It's only recently that full-fledged restaurants have started coming up near the park and Daftar was the first one. They serve amazing wood-fired pizzas too and are a great and reasonable option when you're looking to grab a quick lunch or dinner after work. They also have a lot of games so that you can unwind with your work buddies after a stressful day or even during one. So if you are on the lookout for some great food, good music, and of course games, you should definitely check out this place. They do not serve alcohol, but hey, there is a Daftar special falooda with three ice cream flavours to make up for that.